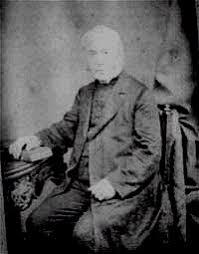 When John Ernest Bode’s daughter and two sons were confirmed in 1866 he wanted the service to include a memorable hymn. Presumably because he couldn’t find one which was quite good enough, he decided to write his own. The hymn he wrote originally began ‘O Jesus we have promised’ but was subsequently changed into the very personal form that we now know. The hymn was first published in leaflet form by SPCK in 1868 and made its way into the second edition of Hymns Ancient and Modern In 1875. It soon became a classic hymn for confirmation, so much so that, according to Percy Dearmer, bishops complained to their clergy about its overuse! Bode based his hymn on a verse which comes at the end of the story John tells in his Gospel about some Greeks who wanted to see Jesus: ‘If anyone serves me, he must follow me; and where I am, there will my servant be also’ (John 12:26). Bode, who was Rector of Castle Camps in the south-east corner of Cambridgeshire when he wrote the hymn, had been educated at Eton and Christ Church, Oxford, where for a time he was a tutor. The tempting sounds I hear. It suggests that Bode didn’t want his three children to be ‘worldly’ – to be tempted by the ‘world, the flesh and the devil’. When I grew up in Exeter in the 1950s I had a great aunt, a devout Christian, who I always felt was too quick to accuse others of being ‘too worldly’. A few chapters on from the verse in John’s Gospel on which Bode based his hymn, Jesus is praying for his disciples and says to his Father, ‘I do not ask that you take them out of the world, but that you keep them from the evil on. They are not of the world, just as I am not of the world’ (John 17:15-16) and he later tells Pilate that ‘my kingdom is not of this world’. On the one hand, in John’s Gospel, the world is the object of God’s love into which he sent his only Son (3:16), the ‘Saviour of the world’, the living bread for ‘the life of the world’ and the ‘light of the world’ (4:42; 6:33, 51; 8:12) while, on the other hand, in the second half of the Gospel, ‘world’ refers to a source of opposition to God, a world with corrupt goals, flawed systems and selfish ambitions. Jesus lived his earthly life, knee-deep in the world – its joys, sorrows and concerns – but never succumbed to its values. To be ‘in the world, but not of the world’ has always been a difficult balancing act for churches and individual Christians. I wonder how you maintain that balance.